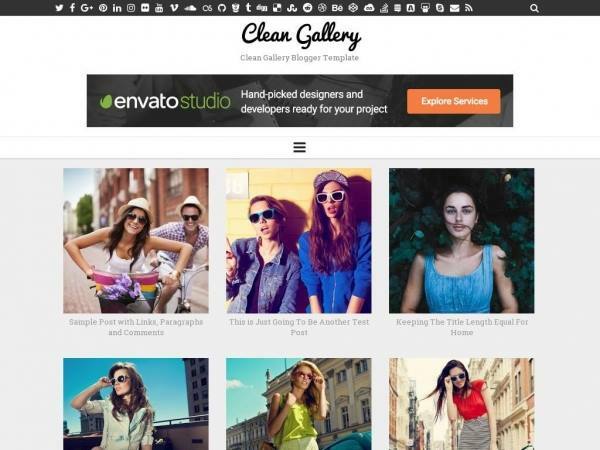 Clean Gallery is easy to use, search engine optimized, clean and elegant, galley blogger template to showcase your content. It is fully responsive (mobile friendly) and adopts to various screen sizes, ensuring that your site content is perfectly displayed in different devices. You can change background image, colors and fonts of this theme within few seconds using blogger template designer (without going to Edit HTML). Clean Gallery Blogger template has a 4 columns footer widgets area, left/right sidebar, hundreds of web fonts, unlimited color options, Font Awesome icon fonts, related posts with thumbnails, social and post share buttons, top navigation menu, scroll to top button, customized email subscribe widget/profile widget, multi tabbed widget and more.